The 2018 Yachting Journalists’ Association Yachtsman of the Year and Young Sailor of the Year Awards were awarded at a breakfast reception in London, hosted by MS Amlin Yacht. Next up was presentation of the YJA Yachtsman of the Year voted by its membership. In over 60’s years of the YJA Awards, it was an unprecedented result, with a tie, and so the 2018 YJA Yachtsman of the Year Award was presented to joint winners, Tracy Edwards and Nikki Henderson. 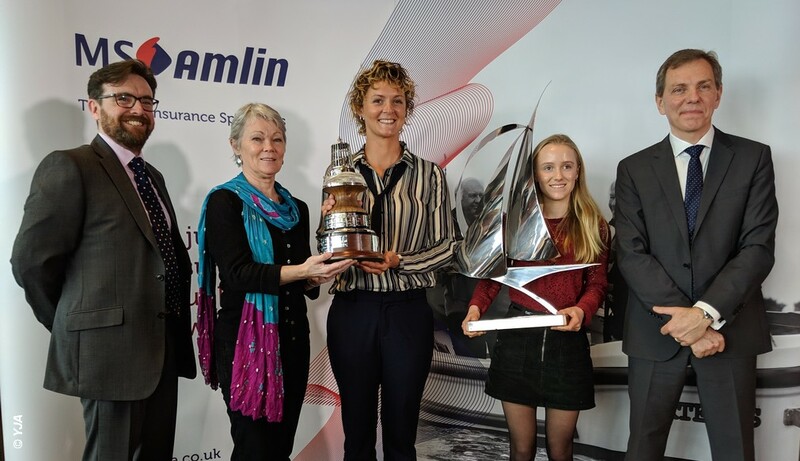 MS Amlin also announced their sponsorship of the 2019 YJA Yachtsman of the Year, Young Sailor of the Year and Young Blogger of the Year Awards, which will be presented at a Gala Dinner on Friday, September 13 in Southampton, on the Press Day of the Southampton Boat Show. 36th America’s Cup - Never enough time?